DALLAS — More than six months after an outbreak of Ebola began its rampage through West Africa, local and federal health officials have displayed an uneven and flawed response to the first case diagnosed in the United States. The officials said it had been difficult to find a contractor willing to enter the apartment to clean it and remove bedding and clothes, which they said had been bagged in plastic. They said they now had hired a firm that would do the work soon. 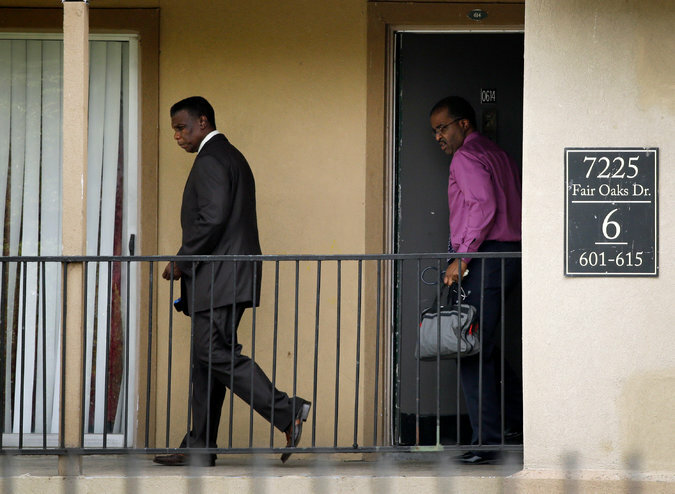 The Texas health commissioner, Dr. David Lakey, told reporters during an afternoon news conference that officials had encountered “a little bit of hesitancy” in seeking a firm to clean the apartment. The delay came amid reports that as many as 100 people could have had contact with the victim, Thomas E. Duncan. And it came a day after the hospital acknowledged it had misdiagnosed him when he first visited. This entry was posted in Uncategorized on October 9, 2014 by Leonard Jernigan.